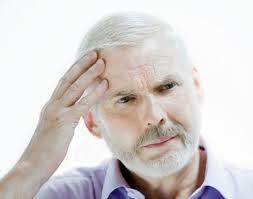 Brain Today: Is Memory Loss Normal as You Age? Is it normal to have memory loss as you age? 1. Working memory is sometimes called attention span, and refers to information to which you have been exposed during the last minute or two. This information is held in the frontal lobe of the brain and, as far as we know, not stored for later retrieval. Recalling a phone number just long enough to dial it is a good example of working memory. 2. Short-term memory refers to information that you find novel or interesting, and store for later retrieval. This memory lasts from a few minutes to a couple of weeks, and is processed in the medial temporal lobe of your brain. Short term memory is used to recall your room number during a week-long stay in a hotel. 3. Long-term memory can last up to a lifetime. The name of your home town, the color of your first bike, and the name of your first pet are likely to be stored in long term memory. It is never normal to experience severe or sudden changes in memory capacity. Any decline severe enough to interfere with your normal, daily activities is likely due to some underlying medical condition. Working memory declines slowly with time, starting at around age 40. As such, a person who can read a ten-digit phone number and then successfully recall it for dialing, might someday need to break that phone number into three short chunks, and dial each separately. This does not indicate the presence of an illness. Both long-term and short-term memory processing tends to slow with age. This means that you might search longer for the right word or for a person's name as you get older. This is true even for a healthy brain. Hearing and vision can both decline with age and, when this happens, the brain may need to devote more resources to deciphering what it sees and hears. This additional activity distracts from storing information, so some perceived memory loss is actually due to distraction. If you are concerned about your memory, you might be interested in a free questionnaire called the Healthy Brain Checklist that you can download from Medical Care Corporation. It allows you to tick off the types of memory concerns you have, and see if they are likely to be caused by an underlying medical condition, or if they are more likely due to the normal aging process. Remember, many conditions can cause memory loss, including thyroid malfunction, sleeping disorders, medicines, depression, infections, and vitamin deficiencies. Of course more serious problems like Alzheimer's disease, stroke, and head trauma can also cause memory loss, but all can be treated best if detected early. So if you have a concern that seems correlated with a medical condition, be sure to discuss it with your physician. Also, if your physician does not take your concern seriously, and your symptoms do not seem to be correlated with normal aging as described above, seek a second opinion from a different physician. This is useful to me because i'm doing a science project on "do you lose your memory as you age. Post brain surgery for epilepsy, memory super bad. The apprehension of how much worse is it going to get is the especially hard thing to handle.